Data collection and processing has changed facets of our lives we don’t even notice, such as how we shop for items or the method in which we watch our favorite television programs. However, despite that, not many are fully aware of how ingrained AI is getting in our day-to-day lives and the industries that it impacts significantly. An industry that many people overlook is insurance. Many of us don’t pay it that much mind (unless we can get a cheaper premium, of course), but artificial intelligence is well-suited to insurance processing. Just like other implementations of AI, the aim is to help you, the user, get a better deal and protect yourself from potential harm. How exactly is this disruptive technology impacting our shopping for insurance? Insurance, at its most basic, is a mathematical analysis of probability. According to Investopedia, historically insurance coverage was a mathematical pursuit, something that carries over to today. Artificial intelligence is very skilled at doing mathematics as well as repetitive tasks. Because of the penchant for AI to learn from its mistakes and correct itself, it’s very likely that before too long we’ll have better AI insurance agents than we have real ones. However, the depth of how AI impacts insurance goes far more in-depth and that, and for us to truly appreciate the change that is coming on the tide of AI, we need to examine the current state of the insurance industry. Filing Claims and Receiving Settlements Online: Some insurance companies already have AI chatbots developed for use in their customer service department, it’s not a huge step to make these bots able to ask pertinent questions and respond to answers to automatically create claim forms that can then be used in settlements. Usage-Based Statistics: Some insurance companies utilize a type of coverage termed usage-based coverage, where the more the policyholder performs a particular action, the higher their premium could get. With the emergence of connected devices and the IoT, it’s not impossible to think that AI could monitor the behavior of a policyholder and adjust their coverage rate based on their good or bad behavior. Risk Assessment Calculations using Big Data: Another use of AI that ties into one more disruptive technology is the combination of Big Data and machine learning to develop insights. In the case of the insurance industry, these systems can combine to produce more accurate risk assessment protocols that could both benefit the company as well as the customer by offering them a more well-rounded assessment of their risk. Tech Republic reports that a startup known as Clearcover is already utilizing an AI-based solution to develop competitive prices for clients. This is where insurance may end up as more and more companies employ AI to streamline the process of selling insurance packages. Mixing and matching in insurance becomes a lot easier when the AI already has most of the potential gains that the user may get figured out. In the mid-twenty-first century, we may be buying insurance the same way we build PC’s online, by choosing the bits that we find most attractive in terms of price and usability. McKinsey has noted that by the time 2030 rolls around, insurance claims may be directed and processed entirely by AI, utilizing IoT and network-connected devices to verify and confirm all incidents. We are living in a time when this isn’t science fiction anymore. Our reality is filled with the slow, inexorable march of technology as companies race to develop better connectivity and network reliability for IoT devices as well as an increase in the connectivity of the average citizen. 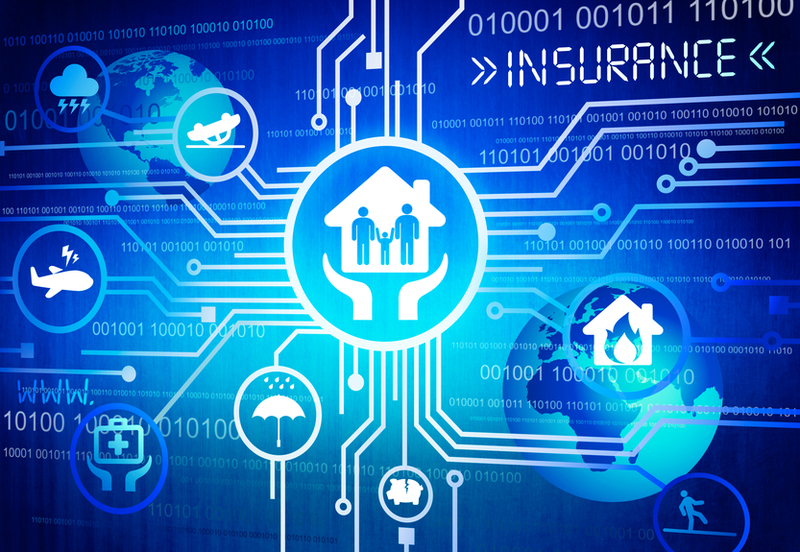 By combining AI and IoT, insurance companies stand to benefit from having a faster turnover for claims and a much better customer reputation because of it. While we’re looking at the idea of car insurance benefitting from the proliferation of AI, we have glossed over the fact that some forms of protection may become obsolete because of AI. Fortune predicts that self-driving cars may be the norm in the 2020s meaning that car insurance would be a thing of the past. Of course, this hinges on how well the AI manages to learn to drive a car and doesn’t take into account the number of humans that will still be on the roads operating their vehicles manually. The radical shift in how insurance deals with AI has already begun. The more we let the AI learn about us, the better it gets and figuring out what we want. Why Should You Consider Hiring a Professional Web Designer?